This time of the year is usually slow as people slip into the seasons of Thanksgiving and Christmas. Heading into the Holiday season we only have one request for funding, but have heard about several more. The HPF is still in a holding pattern with a few requests through California State Parks. After input from the structural engineer, but not a final report, it appears that the focus of the Pioneer Monument “Restoration” project has changed from one of restoration to one of maintenance. That will alter the HPF’s involvement in this project significantly, but not sure what the end game will be. The Pioneer Monument is still at the head of the list for the Sierra District of State Parks, but here’s a shocker, still more information is being gathered. Staying with the State Parks theme, four of the HPF Board paid a visit to the Vallejo Adobe in Petaluma, this past week. We were able to meet with Jim Carr, a director of the Sonoma Petaluma Parks (SPPARKS), the non profit association that supports the Adobe and other parks in the district. It was quite visible that much of the work of the first phase has been completed. All of the holes from the birds on the adobe walls have been patched and the north wall of the adobe, both top and bottom, has had its coating and sealant mixture applied. That wall looks great. In general the walls look in much better shape than was seen even during the Grand Parlor BBQ last May. When the supporting documentation for the original grant is forwarded to the HPF and reviewed, the funding will be awarded. The two above projects continue to point out that to deal with State Parks you have to have patience and perseverance. The HPF will continue to pursue those projects and others with State Parks, in spite of some of the setbacks. As always, when we know more, you will know more. The regular business of the HPF will go on. As stated in a previous report you can walk down any street in your community and find worthwhile projects that are in need of recognition or restoration. All you have to do is look. These can be good rallying points or projects for your parlor. They can accomplish several goals such as recognition or restoration of California history, increased participation by your parlor, networking with other like minded groups, or just doing the right thing. There are no losers here. The cost is usually minimal. The hardest part is the leg work and the research. Whether the funding comes through the HPF, your parlor, or a local group or a combination there of, it doesn’t matter. 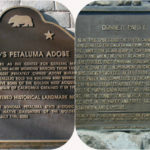 The important thing is that it is acknowledged as a California historical site, which is our mission. Whatever the result remember one of the statements from the end of the Native Sons initiation, “you only get out of it what you are willing put in”. The current fundraising campaign that has been initiated by the HPF has raised almost $4000 in additional funds toward the goal. 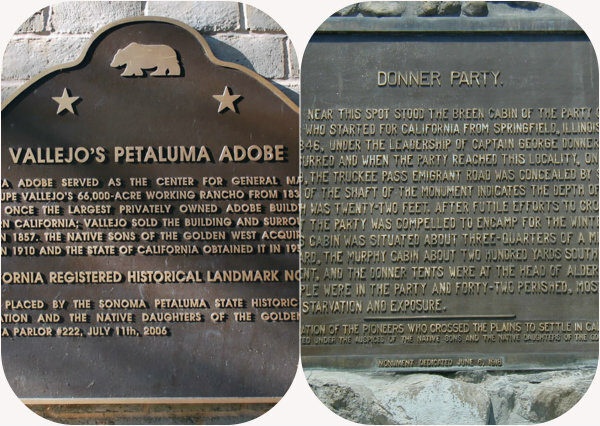 The main purpose of this campaign is to get all parlors on board with the mission of California history. It has been delayed for the holiday season, but will resume early next year. Of course we will receive donations any time. The next meeting of the HPF Board will be at the Marriott Hotel in Rancho Cordova on January 21, 2017. Until next time Happy Trails and Happy Holidays.